A new bool from Daniel Burrus, a technology futurist with proven track record. "Anticipate Disruption before it happens. Turn Disruption & Change into Opportunity & Advantage." "Technology-driven change is accelerating at an exponential rate, but moving fast in the wrong direction will only get you into trouble faster! Reacting to problems and digital disruptions, no matter how agile you and your organization are, is no longer good enough. 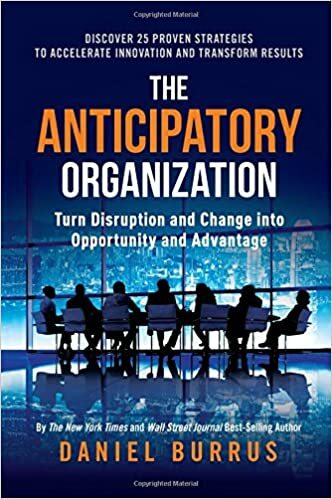 The Anticipatory Organization teaches you how to separate the Hard Trends that will happen, from the Soft Trends that might happen, allowing you to jump ahead with low risk and the confidence certainty can provide. Accelerate innovation and actively shape the future—before someone else does it for you!"